The term ‘The Digital Insurer’ or ‘us’ or ‘we’ or ‘The Publisher’ refers to the brand used by The Insight Consulting Group Pte Ltd who is the owner of the website and is incorporated in the Republic of Singapore. The term ‘you’ refers to the user or viewer of our website. 1. The content of the pages of this website is for your general information and personal non-commercial use only. It is subject to change without notice. c. Make reference to, quote or modify any materials obtained from the Site. 5. This website contains material which is owned by, licensed to us, or references third party materials. This material includes, but is not limited to, the design, layout, look, appearance and graphics. Reproduction is prohibited other than in accordance with the copyright notice, which forms part of these terms and conditions. 8. Your use of this website and any dispute arising out of such use of the website is subject to the laws the Republic of Singapore. 9. If you are a registered user or subscriber, you are not permitted to share your user name and password with anyone else. A password is for one person’s use. Sharing a password means a copy of our content may subsequently be made by someone who is not authorized to do so. Password sharing is a breach of our terms and conditions and is likely to result in an infringement of copyright. 10. The Publisher shall have the right at any time and for any reason to remove from the pages on the Site any material posted, uploaded, emailed or otherwise transmitted by you without giving you any advance notice and the Publisher shall not be liable for any losses or damages whatsoever arising from the removal of such material. 11. The names, images and logos identifying the Publisher or third parties and their products and services, are the proprietary marks of the Publisher, and/or may be the proprietary marks of third parties. Any use made of these marks may be an infringement of rights in those marks and the Publisher reserves all rights to enforce such rights that it might have. 12. Whilst every effort has been taken to ensure the accuracy of the information provided by the Publisher and its employees in these pages, the contents of the Site reflect the opinions of the writers and authors alone, they are personal to them and are naturally subject to change from time to time. It is your responsibility to check the accuracy of relevant facts and opinions given on the site before entering into any commitment based upon them. 13. 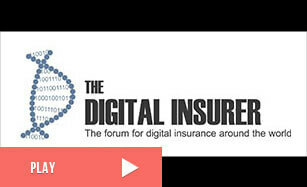 The Digital Insurer is not responsible for comments or information that is posted by third parties. Any such information which may infringe third party rights will be removed within 7 days upon notification and evidence that such rights have been violated. 14. We appreciate your feedback. Please be aware that by submitting content to The Digital Insurer, including an event, webinar or post reviews, you grant The Digital Insurer the right to use, reproduce, and publish your comments with attribution at our discretion. The information contained in this website is for general information purposes only. The information is provided by The Digital Insurer and while we endeavor to keep the information up to date and correct, we make no representations or warranties of any kind, express or implied, about the completeness, accuracy, reliability, suitability or availability with respect to the website or the information, products, services, or related graphics contained on the website for any purpose. Any reliance you place on such information is therefore strictly and entirely at your own risk. Our sponsors have no responsibility for the views and opinion expressed on this site. 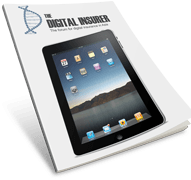 Through this website, you are able to link to other websites which are not under the control of The Digital Insurer. We have no control over the nature, content, and availability of those sites. The inclusion of any links does not necessarily imply a recommendation or endorse the views expressed within them. Every effort is made to keep the website up and running smoothly. However, The Digital Insurer takes no responsibility for, and will not be liable for, the website being temporarily unavailable due to technical issues beyond our control.